A conversion is when your website visitors take the actions you want them to take. These actions can include signing up for a newsletter, submitting a lead form, buying a product, and many other things. 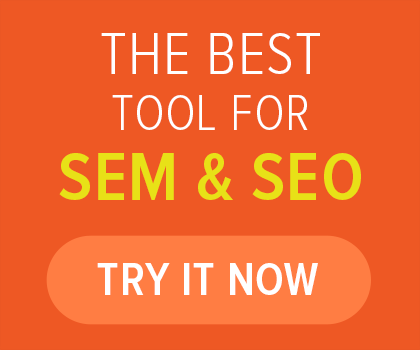 Normally, visitors convert by clicking a link or button. 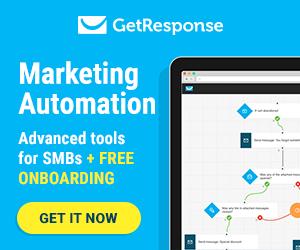 The clickable component is a call to action (CTA). Lesson number 1 is that some conversions are more complex than others. For instance, when purchasing a product, visitors must follow multiple steps. It usually requires the visitor to click a “Buy” button, then go through the shopping cart process to complete the transaction. A conversion rate is the percentage of website visitors that take the desired action after visiting a landing page. You may be asking yourself, what is a good conversion rate? Well, there are several factors that can determine what “good” is for your company, including your industry and business model. In some instances, a small conversion rate of 1% may be profitable. If it’s a huge business, a conversion rate of 50% isn’t uncommon. Conversion rate optimization (CRO) is the act of improving a website’s conversion rate. It involves implementing a systemized approach to increase the number of website visitors that take a desired action. The key is getting more sales without needing more traffic. 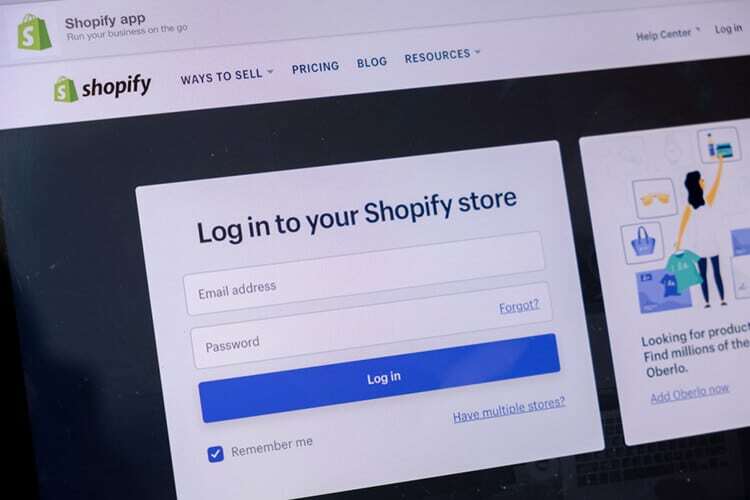 The key to optimizing your Shopify store is to go through a scalable process. 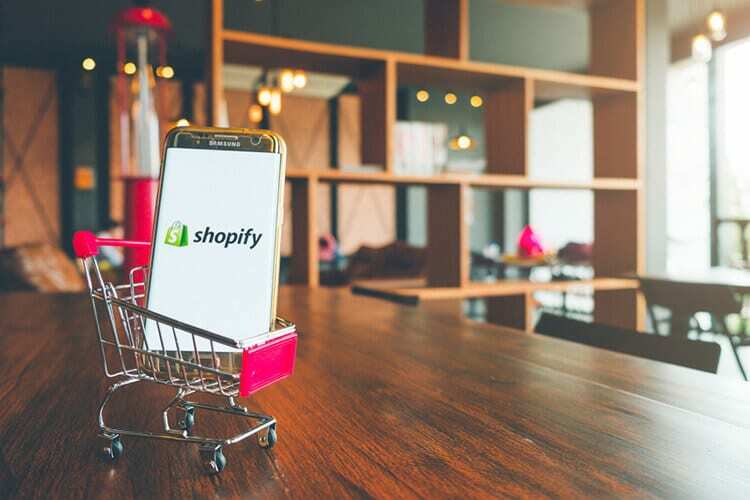 Research the top Shopify stores in your market to see what they are doing, then set realistic goals based on that. Once you’ve set your goal, you can use a tool like MonsterInsights to simplify tracking conversions. Come up with at least 20 ideas that have the potential to increase your conversion rate and categorize them by ideas that already work for you, ideas that will likely work, or ideas that are possible, but not probable. Once you’ve created your list of what will likely work, you should start testing. Try to test as many ideas as possible. Google Optimize is an outstanding tool to try out when you’re just getting started. There’s a possibility that some of your ideas won’t work, but it’s okay. Just be sure to analyze your results, summarize what you learned, apply your findings, then create a new test. Evaluate if your conversion rates are improving. Note, that all ecommerce websites are not the same, which means the same ideas will not work to convert on all sites. The way your website is designed is a very important component of the success of your Shopify store. This includes the general website design, fonts, colors, navigation, images, videos, and the checkout process. When it comes to website design, just make sure it’s appealing to the eye of your target market. There are several themes available that you can choose from that you can use as they are or that you can customize. Put your web developer to work! 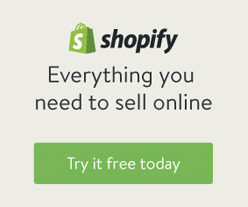 Consider navigation the family tree of your Shopify store. Main level navigation links to things that should always be displayed like product categories or store locations. Next are the things that are within the main level links, which should be a more specific breakdown of products. The first thing that will catch the eye on a product page is the product image, so make sure they are simple but stunning. Other things that can add value to the product page are thorough product descriptions, how-to videos, or videos of people modeling your items if you sell clothing. An overall product rating from reviews is beneficial as well. Being an ecommerce store, it’s natural put a lot of focus on CTAs revolving around adding to cart and checking out. After all, that’s the ultimate goal. But we also know it can be discouraging to constantly see low sales conversions after trying different ways to push that CTA. The reality is that people who leave your site without converting probably won’t visit again. The only way is to give them a reason to come back and that’s where you would use micro conversions. Micro conversions are smaller actions that visitors can take to show they have interest in your products. For example, signing up for your email list, creating an account on your website, or creating wish lists. Micro conversions can lead to visitors becoming customers. So, make your CTAs unique and come up with other items of value you might be able to give your visitors for free. A complicated checkout process or surprise costs can be detrimental to sales, so be sure to put in as much time as needed to create a simple and seamless checkout process for your customers. Request the visitor’s email address at the beginning of the checkout form. This way, if they abandon their shopping cart you’ll have their email address to send them an email to possibly recover the sale. Address things upfront that can cause visitors to leave your online store. Shipping is one of those things, it’s a simple problem to solve. Be 100% transparent about your shipping costs from the beginning or offer free shipping if you can. Abandoned shopping carts are inevitable. They are a normal part of ecommerce and although you can address some of the problems, some of them are out of your control. However, do all that you can to avoid it. Every step we’ve covered throughout this article has been taken with reducing abandoned carts in mind. But now the question is what happens when you’ve increased engagement and gotten some micro conversions, but your visitors still abandon their carts? Add an exit-intent popup to your shopping cart and checkout pages to catch shoppers as they’re trying to abandon their carts. This is a great way to try to keep the shopper before they officially abandon their cart. The popup should say something about them leaving items behind that are in high demand and you can even offer a discount. At this point you’ve brainstormed, a/b tested, and implemented your ideas. Your site is optimized, and you adjust content, images, product descriptions, and other things that might come up on a weekly basis. The only problem is that you still have shoppers abandoning their carts. Now it’s time to implement an abandoned cart recovery strategy. If you’ve already taken proper protocol and set up your checkout form to get email addresses or got them through micro conversions, then you already have what you need to contact abandoning shoppers. Let shoppers know that you miss them, that they’re items are in high demand, and even offer a discount off their purchase. Time to Work Your CRO Magic! You’re all set! 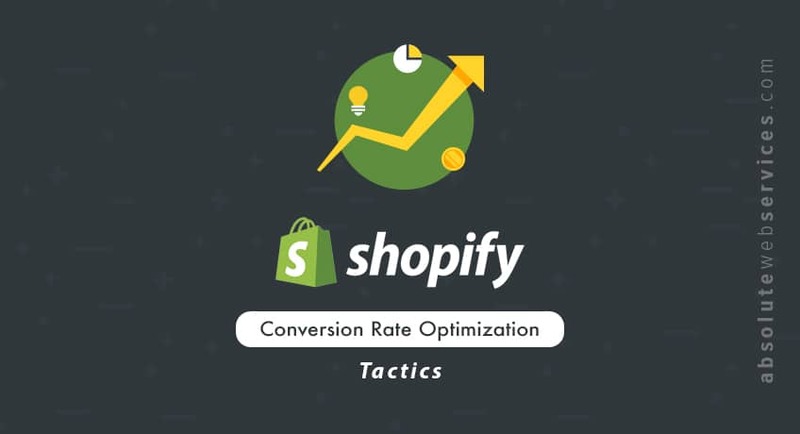 You now know the process you need to go through and the techniques to implement in order to boost your conversions and sales on your Shopify store. Overall, CRO will help you sell more products, cultivate brand loyalty, and get more exposure. You’ll thank yourself later for putting in the effort to apply all these tactics to your business.